Shooting star trails has been a long awaited project which i finally got to it tonight. 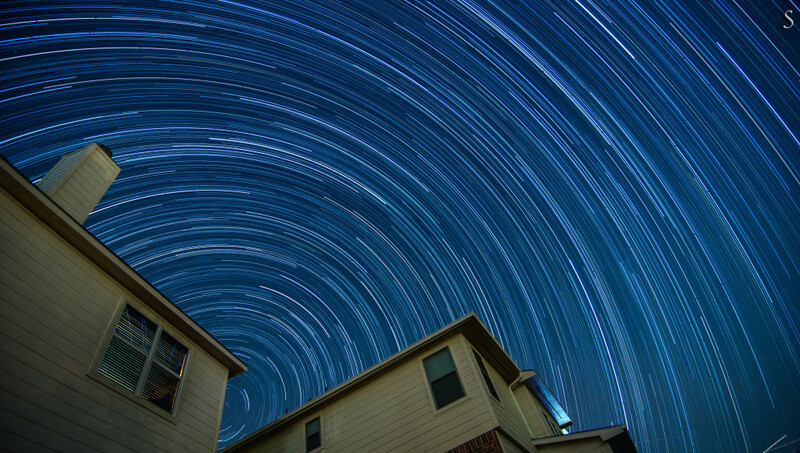 Star trails are shot by utilizing long-exposure times to capture the apparent motion of stars in the night sky due to the rotation of the Earth. 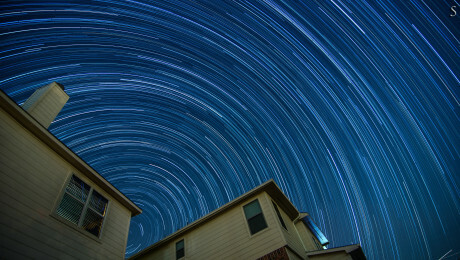 A star trail photograph shows individual stars as streaks across the image, with longer exposures resulting in longer streaks. I couldn’t have asked for a better weather dry air, clear skies. This is SOOC shot. The only thing i did post process is stacking images. Little over 3 hours of wait time totally worth it!! Shot on D7000 with 11mm at f/2.8, ISO 100 for 30s. I used interval timer for 36second timer and 300 intervals. The extra 6seconds is really important. This will give enough time for the camera to write to the SD card. Since i was shooting RAW and JPG i thought the extra time will be more critical. With this setting it will take 3 hours to complete all 300 shots. Once you find your right exposure the next most important thing is focus put lens in manual and set it at infinity. If you dont have then pick the brightest star in sky to focus and push you camera into manual. Last but not the least a good sturdy tripod i removed the neck strap if you cannot at least tie it the last thin you want is trip on the something and drop the camera. Remember you will be shooting in dark. 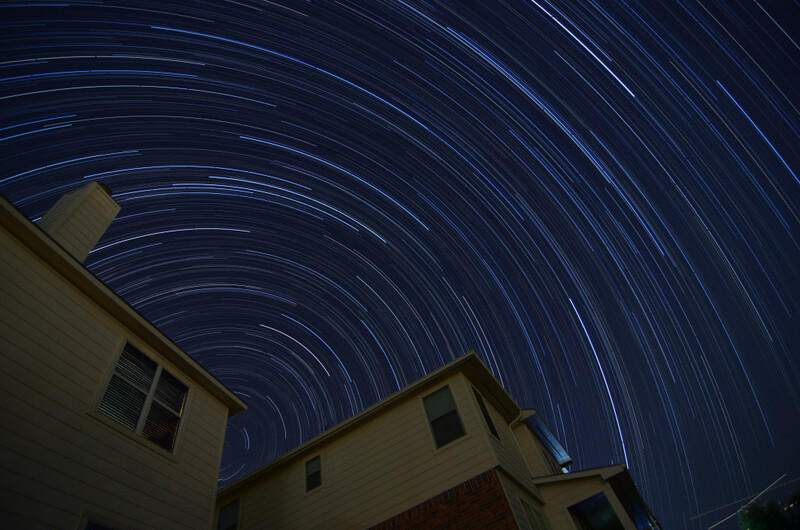 I used StarStax a simple but very effective image stacking tool for star trails for Mac. If you are a windows user then you can use startrails.de. I captured both RAW and JPG because StarStax only imports JPGs. I am happy with outcome might not even touch RAW files. For those who use Photoshop you can very well stack there and get similar results and make any touch ups you want. I dont have Photoshop so that was not an option for me. I highly encourage who own a DSLr you should try this. If you have any questions drop in a comment or reach me at suresh [at] susarla [dot] com. Touched the raw files a tad decreased the highlights increased shadows cropped just a bit. Super cool Suresh. I don’t know the technology or the processing you have used. If I have seen such a nice space visual taken by anyone next to NASA so far, it’s this one from you. Thanks for generous comment :). Wow!! Awesome. I haven’t seen anything like this ever before. Great job Suresh. Will show it to kids. Thanks, Akka for your comment.